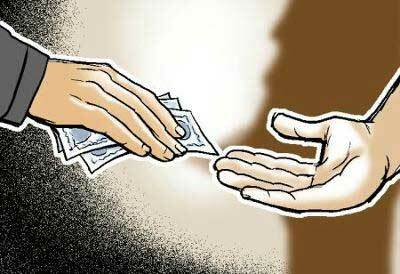 Jodhpur: A Senior Railway Divisional Medical Officer was arrested by the CBI for allegedly accepting a bribe of Rs 8,000 for issuing a fitness certificate to a railway employee. The CBI arrested B R Parihar, Senior Divisional Medical Officer (SDMO) at Jodhpur Railway Hospital, last night and carried out search operation at his residence and his office, which lasted till this morning, a senior CBI official said. Though, nothing incriminating was recovered from his residence but CBI had taken in possession some files from his office, he said. According to CBI, Ravi Gurjar, a railway employee posted at Sindhari station in Barmer district, had approached Parihar to get a fitness certificate. The SDMO allegedly demanded Rs 10,000 from Gurjar for issuing the certificate but agreed to accept Rs 8,000. Following which, Gurjar approached the CBI, which laid a trap after verifying his complaint. Parihar had asked Gurjar to come to his residence last night with the money, and the CBI, arrested the SDMO while accepting the bribe, they said.